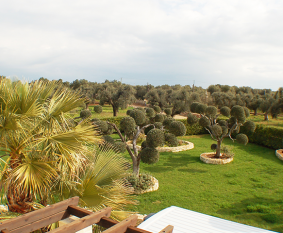 Looking to spend an unforgettable holiday in the beautiful region of Puglia, and searching for a quiet place to relax? 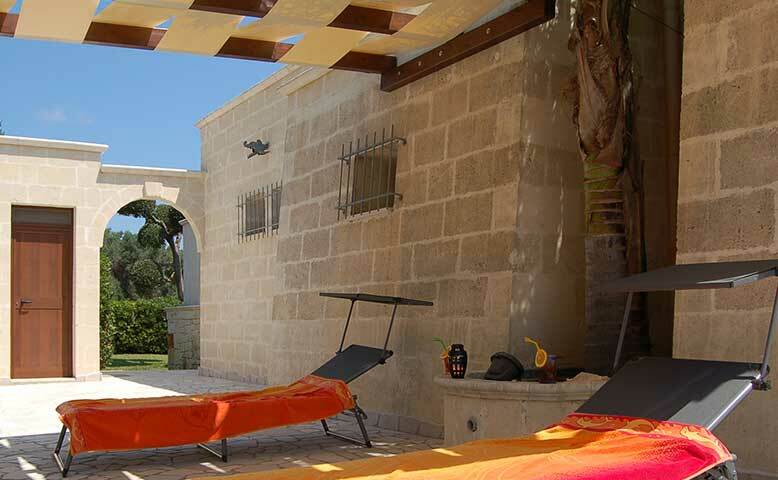 Then Casa Nidolino is perfect for you – in your own private holiday kingdom that you don’t have to share with anyone! 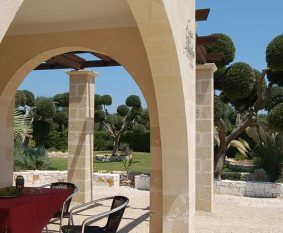 Located in the picturesque town of San Vito dei Normanni between Bari and Brindisi, at the heart of a lush green oasis far from the tourist crowds, you will find everything you need for a relaxing and unique holiday. 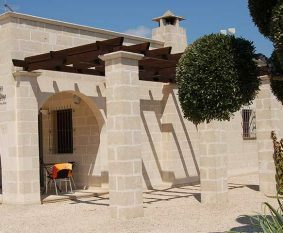 Regardless of whether you decide to spend the day on the beach or take a trip to one of Puglia’s countless sights and attractions, Casa Nidolino offers you the perfect starting point. Whatever you do, it will be a wonderful day! fulfills almost all your wishes! 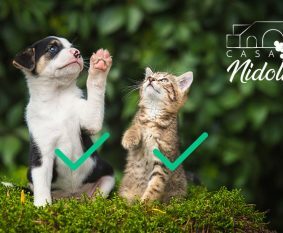 Arrive and feel good – that’s what Casa Nidolino is all about. 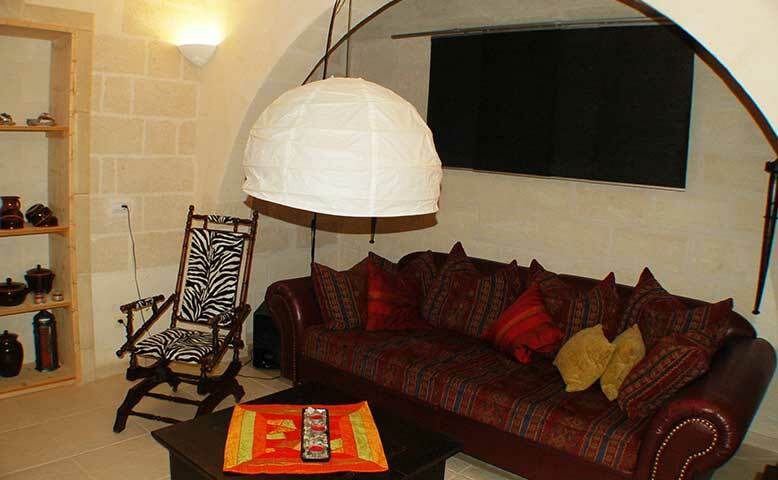 The house is lovingly furnished in typical rustic style. Above-average comfort and extensive facilities ensure you have everything you need for a carefree holiday. 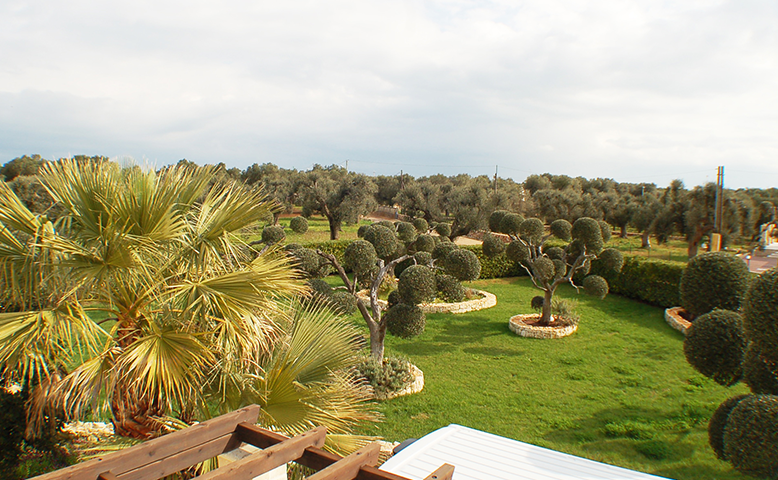 Nestled among green trees, palms and blooming oleander, peace-lovers will find a true home here in this verdant oasis. 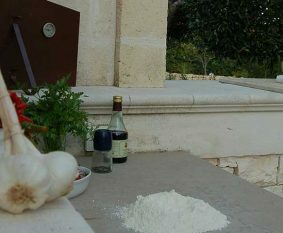 Puglia stretches along the Adriatic and Ionian seas from Gargano on the spur of Italy’s boot all the way to its heel. Thanks to the long summers and over 800 km of coastline, there is no shortage of brilliant sunshine and crystal-clear waters. But it’s almost a waste to spend the whole holiday on the beach! Other options include active cycling and hiking holidays, horse-riding, cultural city trips, and shopping tours taking in everything from small boutiques to outlet stores. 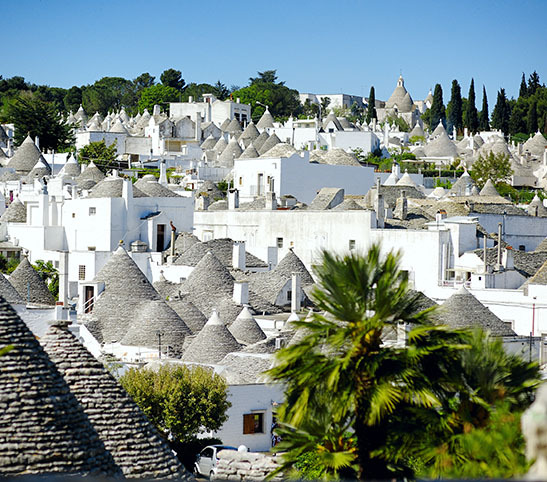 Puglia offers the perfect solution for every holiday wish. 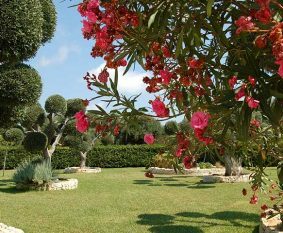 Our wonderful holiday home is located in the municipality of San Vito dei Normanni. 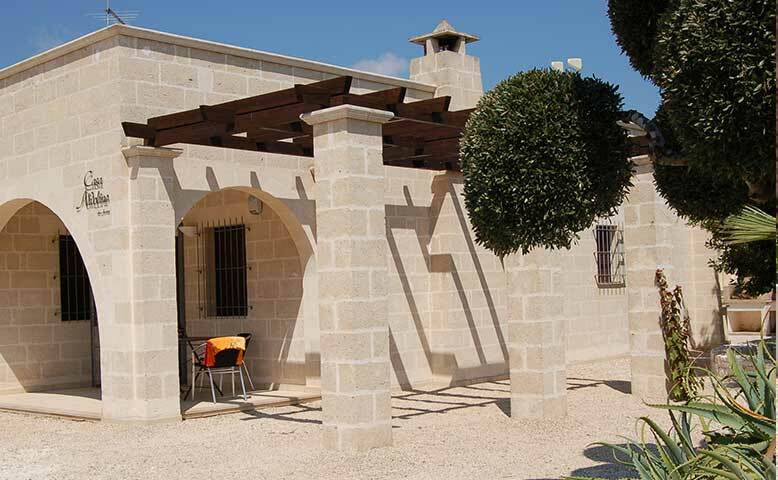 Our holiday home belongs to the municipality of San Vito dei Normanni. 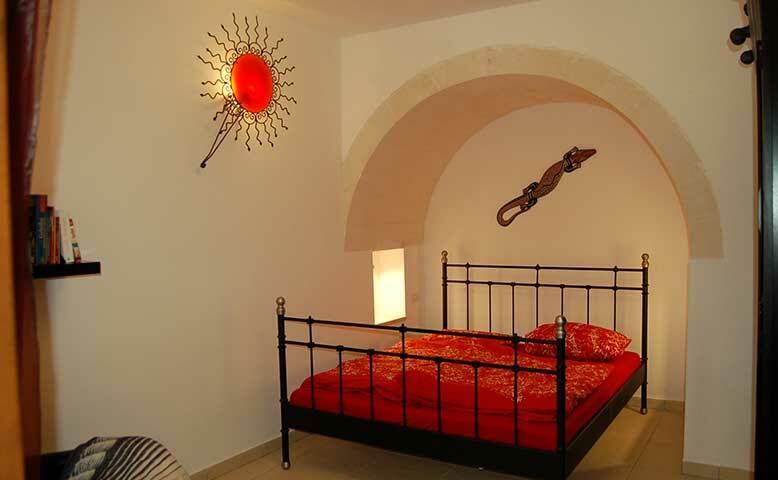 Casa Nidolino is a detached house secured with an alarm. It offers 115 m² living space, 1,800 m² of fenced private land, a terrace with a wonderful garden kitchen, and a flat roof with roof terrace. 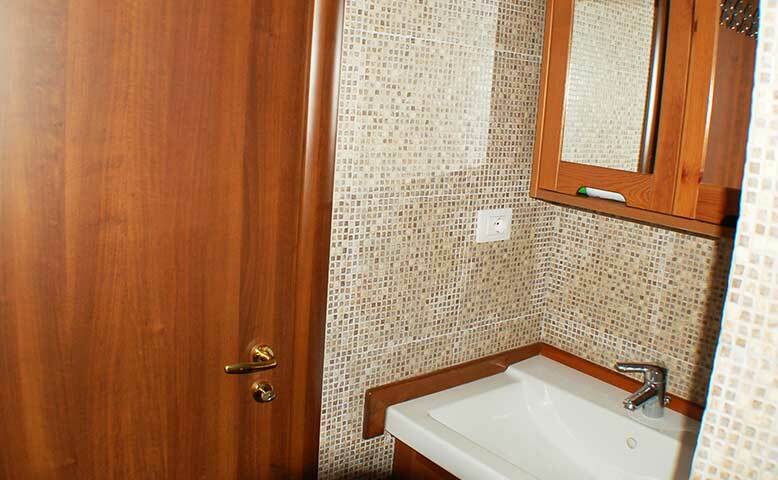 Thus you can enjoy absolute peace and privacy! The house sleeps 4 people, and has 2 bedrooms, 1 living room, 1 dining room, 1 kitchen, and 1 bathroom. It was built in 2007 and completely renovated in 2017. 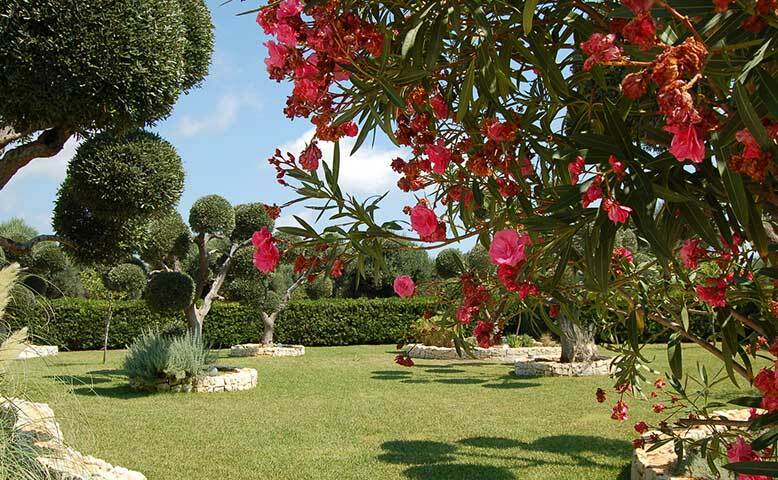 Brindisi airport is about half an hour’s drive away, and the beautiful city of Bari is about 1 ½ hours’ drive away. 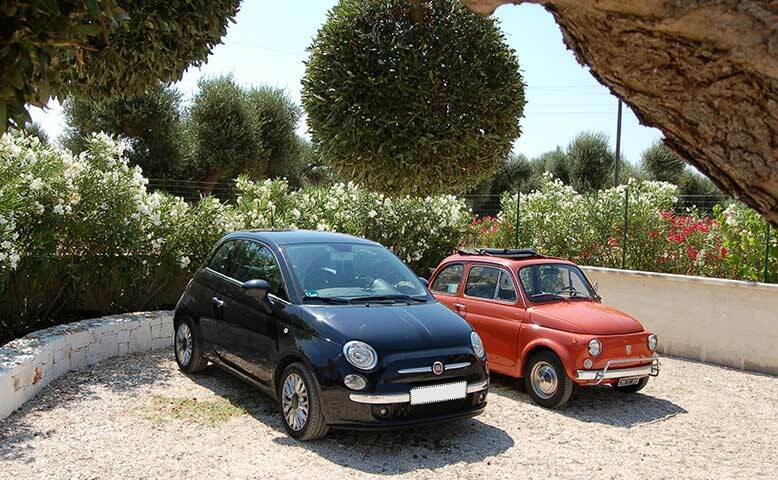 Are you interested in a small and cheap car, such as a Fiat 500 Cinquecento? Talk to me! We are also happy to arrange your airport transfer on arrival and departure. 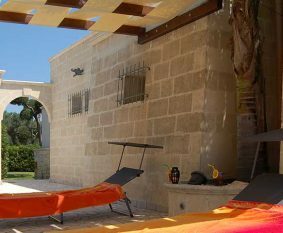 Casa Nidolino has 2 bedrooms, both equipped with a double bed and seating area, thus comfortably accommodating 4 people. A cot can also be provided for small children. 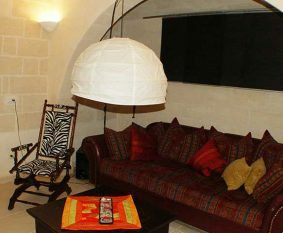 There is also a fully equipped kitchen, a welcoming dining room, a cosy Puglian-style living room and a modern bathroom with bidet. The facilities also include a washing machine and dryer. Start off a sunny day with a delicious breakfast on the large, partially covered terrace. Nestled in a beautiful, lush outdoor area, our large garden kitchen is an absolute highlight! 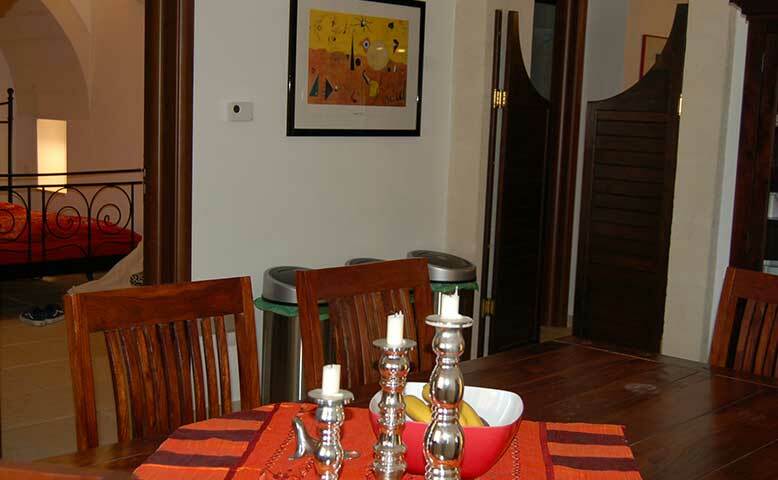 Here you can prepare delicious meals and spend romantic evenings with loved ones. 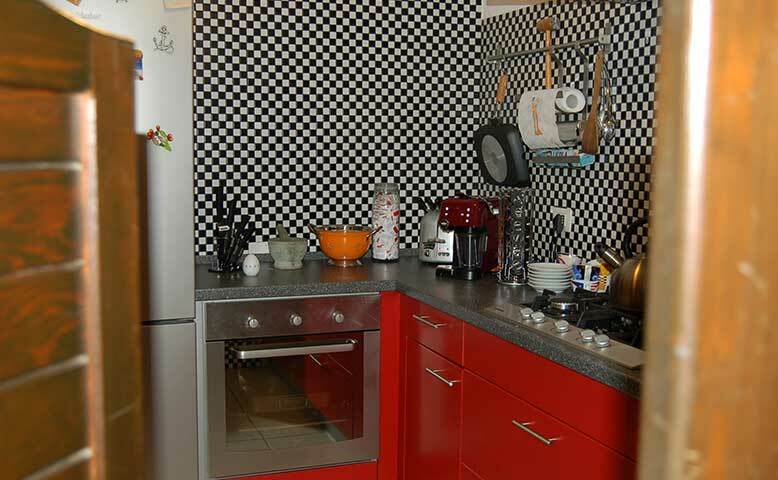 The kitchen is equipped with a barbecue, gas oven, pizza oven, sink and TV connection. 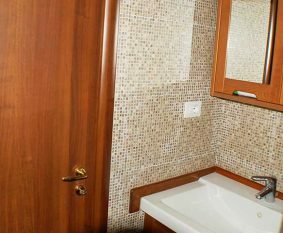 The outdoor area is also equipped with a separate shower (hot and cold water), and a separate bathroom with toilet and sink. 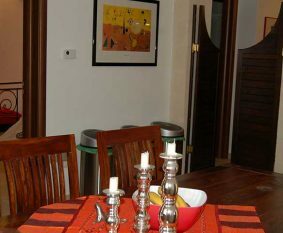 The house is equipped with central heating, pellet stove and air conditioning, making it ideal for year-round rental, whether in summer and winter. 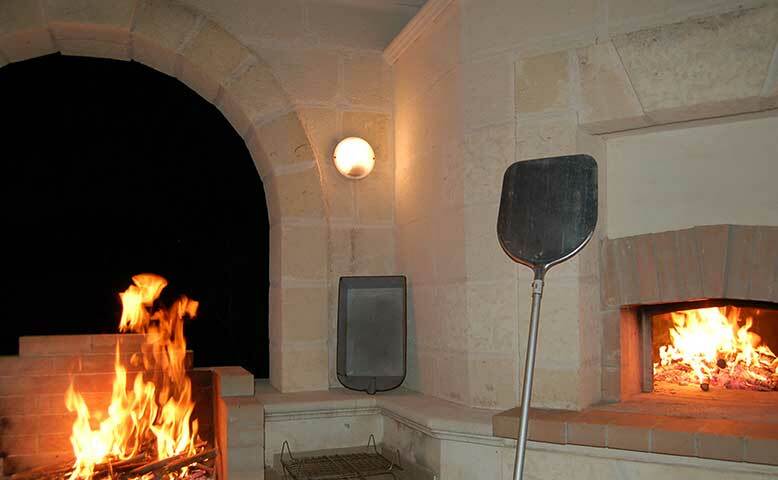 Casa Nidolino offers many amenities to ensure you enjoy a pleasant and memorable holiday. 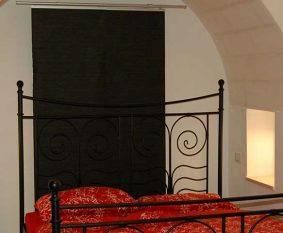 The house is fully equipped with towels, hair dryer and bedlinen. All you have to do is enjoy your holiday. 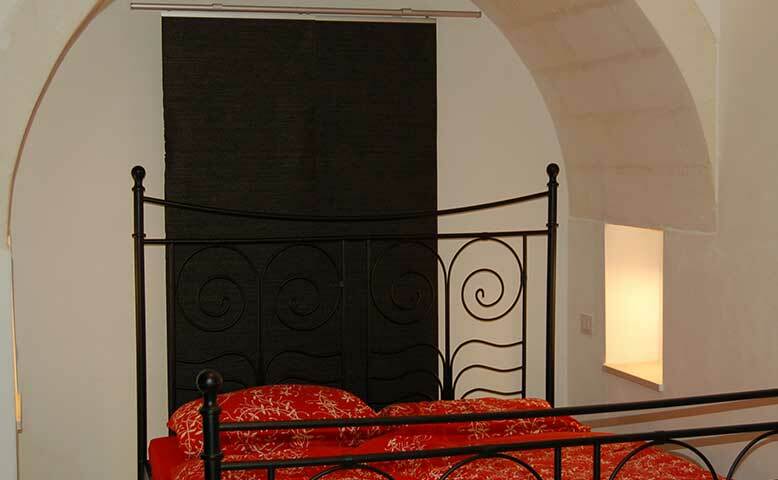 After you leave, our staff will clean the house and take care of the towels and bedlinen. 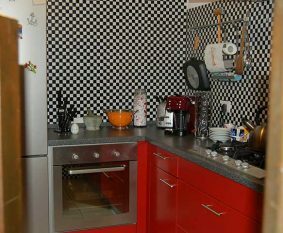 The kitchen is also fully equipped with pots, pans, dishes, cooking utensils, cutlery, coffee maker, toaster, microwave, teatowels and iron/ironing board. You can park your car securely in the private car park in front of the house. 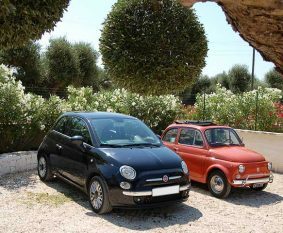 Are you interested in a small and cheap car, such as a Fiat 500 Cinquecento? Talk to me! We are also happy to arrange your airport transfer on arrival and departure. 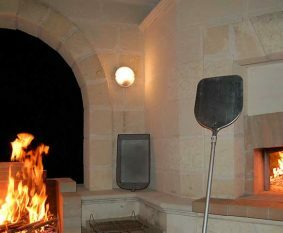 Casa Nidolino belongs to the municipality of San Vito dei Normanni, a small Salentine community approximately 9 km from the Adriatic coast. The area has a lot to offer in terms of culture and cuisine. In addition to the medieval old town and its churches, the town has a daily market which sells typical regional products such as cheese, olives and pasta. It is about half-an-hour by car to Brindisi airport, and about 1 ½ hours to Bari. 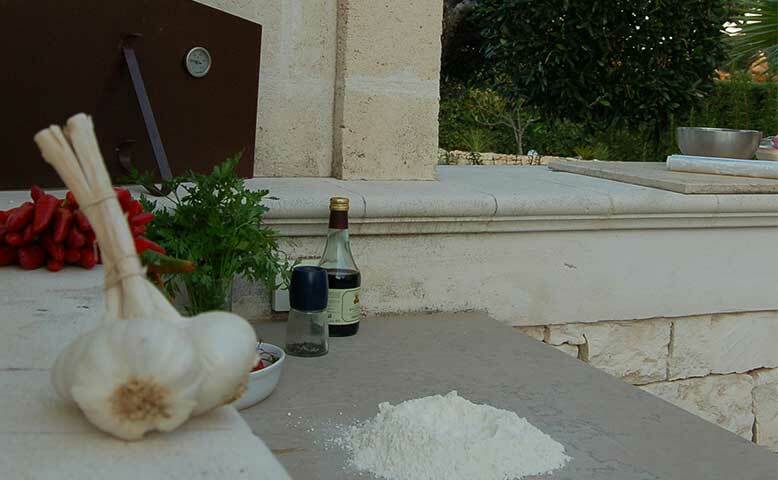 Shops, supermarkets, doctors and an ATM can be found in the nearby San Vito dei Normanni (just a few minutes by car). The beach/sea is about 9 km away. 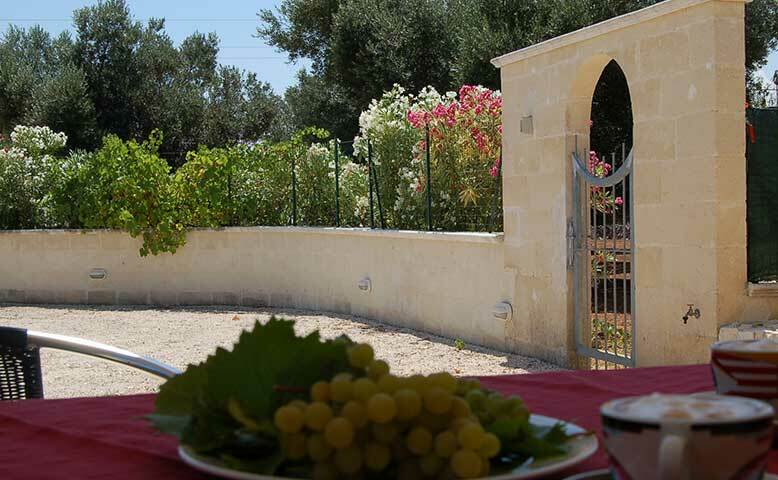 In the spring Puglia is warm and sunny, with temperatures of around 20°C in April. The summer lasts from May to the end of September, with temperatures reaching 30°C and higher in July and August. 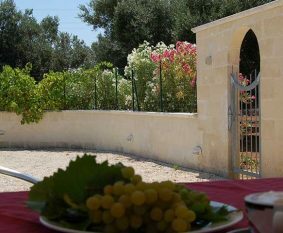 Rain is rare in Puglia, and the sea temperature can reach a wonderfully warm 25°C. The weather stays warm until autumn – temperatures do not drop below 20°C until December. The winter months are mild with temperatures between 12°C and 15°C. During this time it may rain intermittently. Clicke here to find out the exact prices for your travel date! 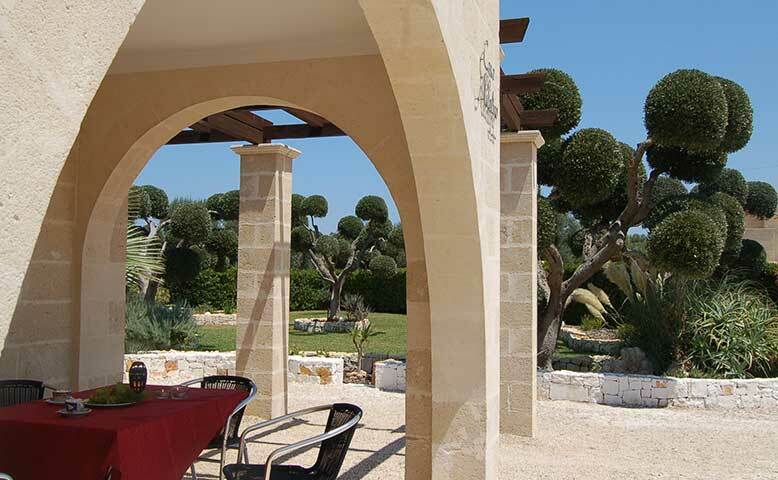 Tip: If you would like to buy a real estate in Puglia, or you even have the idea spending your retirement in Puglia, you also have the option of a long-term rental of this property. Get to know country and people even off-season, before you make your decision. Just ask me. 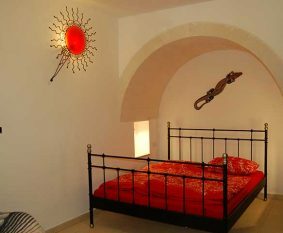 • Upon arrival at Casa Nidolino, you can collect the key from our (Italian-speaking) neighbour. If you have any questions, the owner is available to provide answers in Italian, German or English. 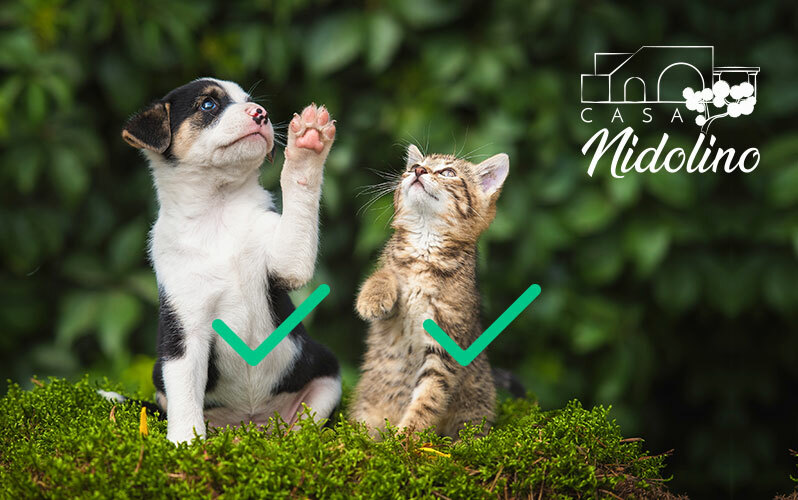 © 2019 | copyright Casa nidolino. All rights reserved.